A Nissan Juke gearbox repair was carried out in the Stephens Engineering workshop recently. The Nissan Juke was brought into the workshop for repair and had been recovered into our workshop as result of several automatic transmission problems affecting the Nissan Juke. The owner of the Nissan Juke reported that there was a whine and some judder when taking off and that these faults were usually followed by the Nissan Juke stalling. To begin the Nissan Juke gearbox repair, we removed the Nissan Juke automatic gearbox and stripped the automatic transmission down to undertake a complete inspection of the Nissan Juke gearbox. At Stephens Engineering, we are automatic transmission experts and our experience of the Nissan Juke automatic transmission and the Nissan Qashqai automatic transmissions has found that both the Juke and Qashqai automatic transmission units suffer from lack of lubrication and bush wear. With our automatic gearbox knowledge and expertise, at Stephens Engineering in Ware, we are skilled in carrying out several modifications to improve these failures of the Nissan automatic transmission unit. Once the gearbox repairs to the Nissan Juke had been carried out, we set the transmission to run on our dyno tester to monitor noise and performance of the Nissan Juke automatic transmission which in our experience will give the transmission unit a longer life. When an automatic transmission is refitted, it is important to make sure that the all adaptions carried out to the vehicle, are re-set. After road testing the vehicle, the Nissan Juke gearbox repair was completed and the vehicle returned to it’s owner. A 2011 Nissan Juke was brought with a fault, the vehicle was juddering and stalling. During the automatic transmission diagnostic fault finding, we found that no trouble codes had been stored, so the Nissan Juke’s sump was removed for further inspection. Particles of metal were found to be present in the fluid in the sump, this indicate that the Nissan Juke automatic transmission needed to be removed. The automatic gearbox was completely stripped and the torque converter was also cut open for repair. As automatic transmission specialists, we have encountered a number of faults with this type of continuously variable transmission (CVT) previously. The faulty parts were replaced and a number of modifications were made. Once we had overhauled both the automatic transmission and the torque converter, we refitted them. Best the test run, the cooling system was thoroughly flushed through to remove all the metal particles in the lines. The Nissan Juke gearbox repair was complete and after carrying out a long road test, we noted that the vehicle was running well without stalling and juddering. 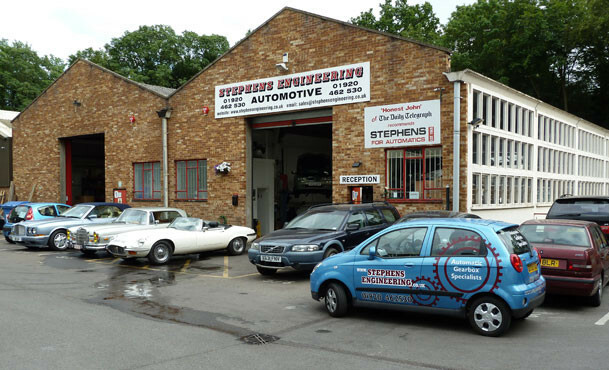 Stephens Engineering have many years experience in rectifying and repairing automatic transmission faults. If you’re experiencing problems with your vehicle’s automatic transmission why put up with your vehicle juddering and stalling? 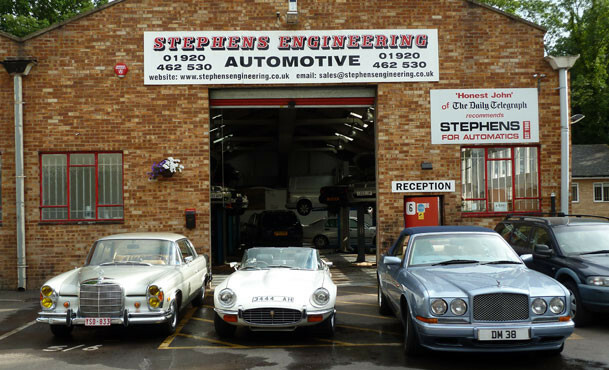 Contact the automatic gearbox specialists at Stephens Engineering to bring back the pleasure in driving your vehicle.